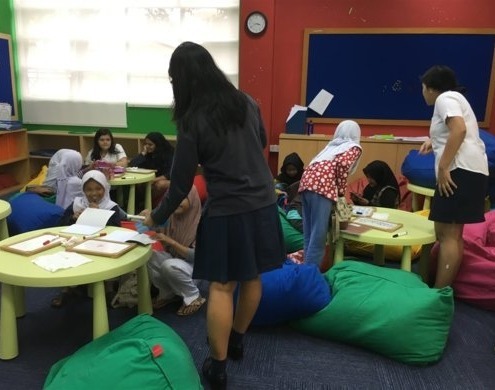 We are delighted to share a blog written by Ruchira Iyengar, a student at British School Jakarta, Indonesia who are part of a team delivering a Global Goals project for the 2018-19 Global Goals Competition. Knowing you are making a positive difference, no matter how small is extremely rewarding, and this is one of those experiences. 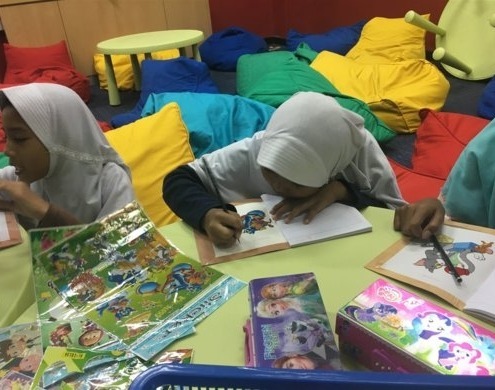 In our project, we have recognised the need for education while also recognising the extent of gender inequality in Indonesia towards females. Though I am not from Indonesia, I also come from a very traditionally patriarchal society which I experience first hand when I go back home once a year to visit my family. Going abroad and being exposed to how life can be with a higher level of equality between the two sexes has made me realise just how unfair and prevalent the issue is, which personally sparks my passion for the cause. So far, we’ve organised a meeting with the girls and compiled a convincing and helpful syllabus for them in terms of English and math. We’ve (the team members) also met and and agreed upon the fact that we are not going to simply rely on presentations to teach the girls and that we are going to incorporate fun and interesting activities and games to help them take interest in what they are going to be learning. As a group, we have learnt to be more patient with the students and their schedules as there have been times where in we as a group haven’t been able to get in touch with the girls and therefore have had to cancel lessons. Apart from this, we’ve also learnt to manage our time better because as busy IB students, we have to motivate ourselves to prepare for the session ahead of time amongst all our work because the cause is so much bigger than our homework, or even IB for that matter. I would definitely recommend others to get involved in projects such as this as it is extremely rewarding to know you are making a positive difference to at least one person if not 10-12 in our case.